As crucial mid-term congressional elections in November draw near, the Trump administration is feeling the heat over higher oil prices. London-traded global oil benchmark Brent breached the $80 per barrel price point on Wednesday, its highest level since May 2. NYMEX-traded U.S. oil benchmark West Texas Intermediate Crude (WTI) reached over $70 per barrel on Wednesday. While both benchmarks pared gains on Thursday, moving back from four month highs, as investors focused on risk from the ongoing emerging market crises and trade disputes that could trim demand as supply tightens, high oil prices along with corresponding higher gasoline prices in the U.S. have the opportunity to play havoc with Republican hopes to hold onto key seats in November and retain control in Congress. Such a loss would ensure that Trump’s second half in office would face severe uphill battles with possible heightened calls from Democrats for impeachment. Amid higher oil prices that could easily settle above $80, U.S. Energy Secretary Rick Perry is reaching out to Russia. “The kingdom (Saudi Arabia), the members of OPEC that are opting their production to be able to make sure that the citizenry of the world does not see a spike in oil price … are to be admired and appreciated, and Russia is one of them,” Perry said after meeting Russian Energy Minister Alexander Novak in Moscow on Wednesday. The U.S., Russia and Saudi Arabia are also working together to make sure the world has access to affordable energy, Perry added. In what can arguably be called an act of concession prompted by worries over spiking global oil prices, Perry said he proposed creating a joint investment fund to develop new projects with Russia, adding the Russian Direct Investment Fund (RDIF) could be part of such a fund. The RDIF said that it supported such a fund. The RDIF is Russia’s sovereign wealth fund established in 2011 by Moscow to make equity investments in high-growth sectors of the Russian economy. According to the fund’s website, it has some $10bn of reserved capital management. The complications in Perry’s overture are obvious. Washington, which has levied numerous crippling sanctions against Russia over a number of issues, ranging from its annexation of Crimea to Moscow’s meddling in U.S. elections, now needs Moscow’s help to reign in spiraling global oil prices. It’s a pivot from merely trying to pressure long-time ally Saudi Arabia over its oil production plans, particularly since the new OPEC, non-OPEC partnership, with Russia, has for all intent and purposes replaced what OPEC could do on its own in the past but has lost, the ability to sway and control global oil prices. To those in Russia it could also appear to be a dubious message. Sanctions are still in place on Russian oil and gas exploration projects necessary to grow the country’s oil and gas production – the very assistance that Perry is asking for. Russia’s natural resources ministry has already admitted that sanctions have hampered the country’s oil and gas exploration ambitions. 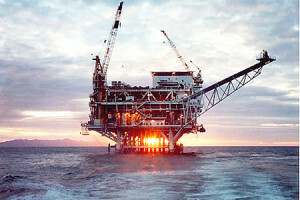 “Sanctions against Russian oil and gas companies, which limit the inflow of foreign investment, new technologies and equipment in the industry complicate the development of new projects in Russia, especially offshore and those directed at hard-to-extract reserves development,” the ministry said in the report on the state and use of Russian mineral resources in 2016-2017. However, Moscow is fighting fought back by seeking funding for these projects in Chinese RNB or domestic funds, effectively bypassing the use of dollars and the U.S. financial system. In spite of Perry’s acquiescence toward Russia’s ability to help the Trump administration’s push to bring down global oil prices, he also came with a mixed message. The U.S. has long maintained that the pipeline presents security risks to much of Europe and even could even open ways for Russia to install undersea surveillance equipment in the Baltic Sea. May EU members, particularly Germany as well as Moscow itself, see U.S. resistance to the Nord Stream 2 project as a way for Trump to push American LNG exports into Europe. However, at the end of the day Russian gas is far cheaper than imported U.S. LNG volumes going into Europe and will likely stay that way for decades. Russia has long countered that the proposed gas pipeline is purely a “commercial project” and will proceed with without U.S. approval.